Alphabet-owned Nest Labs today held an event in San Francisco to unveil a whole new range of Nest home security products. Nest products don't integrate with Apple's HomeKit setup, but are popular competing connected home solutions. 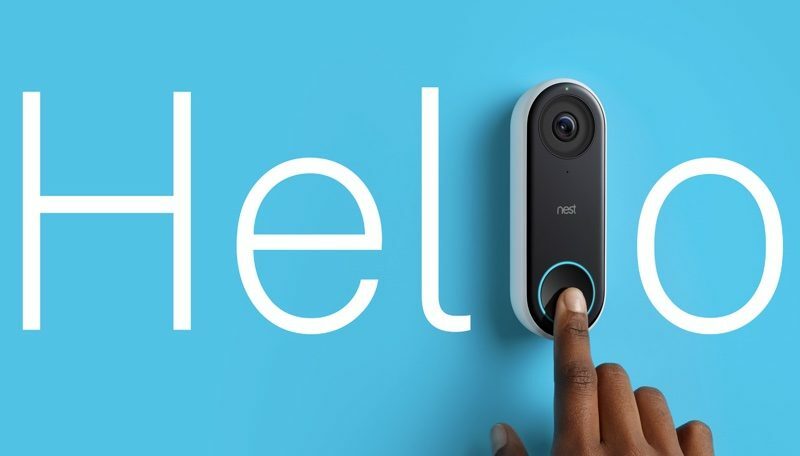 Starting in 2018, Nest will release the Hello, a small smart doorbell device that's able to stream 160 degree HD live video from your door directly to your phone. It will capture a photo of a person standing at your door even when the bell isn't rung, and the Hello supports audio so you can speak with whoever's at the door. With Nest's $10 monthly service, Hello will continually monitor all activity outside the door, and Nest is working on features like Warm Welcome, which will activate a light as someone approaches the door, both as a greeting and to ward off thieves. Nest plans to release the Hello Doorbell Cam in early 2018, but a price hasn't been provided. Nest also introduced the new Nest Cam IQ Outdoor, the outdoor sibling of the Nest Cam IQ announced in late May. 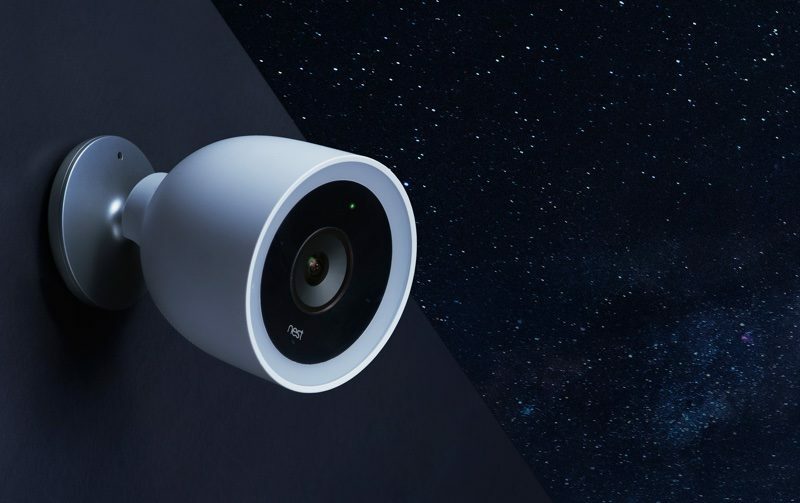 Nest Cam IQ Outdoor is weatherproof (with an IP66 rating) and offers the same 4K high-quality recording and smart features like facial recognition and smart alerts. It comes with a tamper-resistant mount, and with Nest Aware ($10/month), features 10 days of recording and facial recognition. At $349, the Nest Cam IQ Outdoor is $50 more expensive than the indoor version. Nest has also announced plans to bring Google Assistant to its Nest Cam IQ Indoor, with the feature available to all current and future Nest Cam IQ owners. Nest's biggest announcement this morning was the $499 Nest Secure, a Nest-branded multi-component alarm system that includes a Nest Guard, two Nest Detects, and two Nest Tags. The Nest Guard, a palm-sized puck with a keypad, is the main component (aka the brains) of the security system and is used to arm and disarm it. It can be mounted on a wall or placed on table for use wherever it's convenient. The Nest Detect is designed to be mounted in door frames and windows to detect motion in a room or an unauthorized breech of a window or door. Nest Secure only ships with two, but additional Nest Detect modules can be purchased for $59 so an entire house can be outfitted. Two included Nest Tag keychains (more can be purchased for $25) are available to quickly arm and disarm the Nest Secure without needing to enter the security code of the device each time. Several smart features are built in, like automatic times for arming and disarming the Nest Secure. A 24/7 monitoring service is available through Moni Smart Security, but pricing for the add-on hasn't been announced. Nest Secure integrates with all other Nest products, like security cameras, with everything accessible in the Nest app. Nest Secure will go on sale in the United States this November at a starting price of $499. Nest Hello and Nest Detect seem interesting, but without HomeKit, I would have to give it a hard pass. I’ve been waiting for a HomeKit alarm system for a while. Hopefully somebody makes one. I switched from Nest after Google bought them. No Homekit, No Chance... sorry! Nest is crazy with these prices. SimpliSafe, Abode, Scout, and so many more similar systems cost less and do more. I wouldn't say they are crazy with the prices. $5/month for monitoring is a pretty smoking deal.